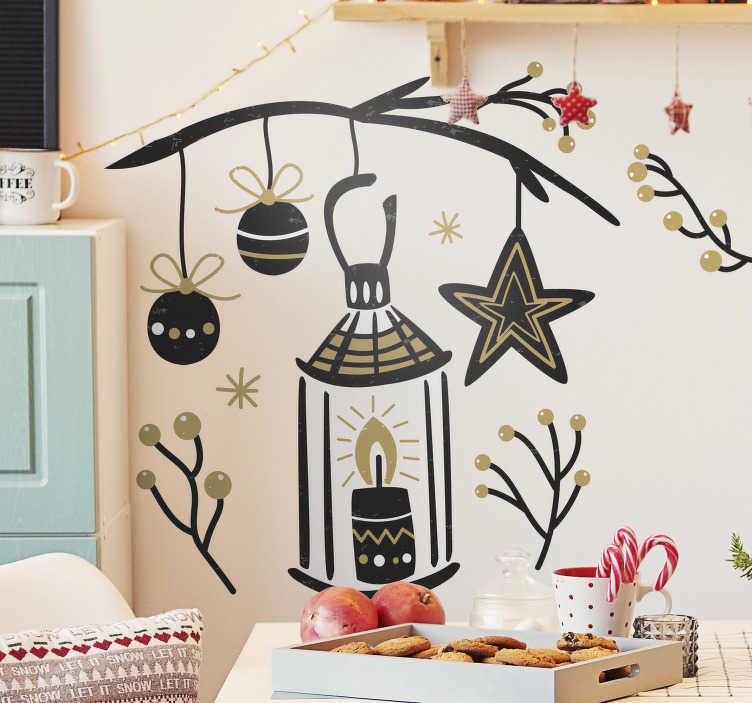 Celebrate the New Year with this elegant festive ornament sticker. This vinyl decal illustrates a burning candle with three balls and branches of a pine tree with a card there that says Happy New Year! Wish everyone a happy New Year with this decorative sticker!